Whether Europe, USA, China or Taiwan: Christoph Ulrich Mayer’s expertise and professional know-how is in high demand around the world, as he is one of the most renowned European management consultants and a frequently requested speaker. Courageous enough to think differently, daring enough to believe he can change the world and talented enough to actually do it! Here the evidence: In 1998 it was Christoph Ulrich Mayer, who was responsible for the product of the year at CeBit. For Mayer, however, this is no reason to lean back. On the contrary! With the BRIGHT Method® he developed, he advanced as Mental Business Designer® to number 1 in Europe. Through his work with market leaders and those who want to become market leaders, he knows the different ways of thinking and value systems of different economic cultures. Mayer’s conviction:”The winner takes them all.” Mediocrity never wins, precisely because success does not come from running, but above all from marching ahead and so long as people, brands and companies only offer what all of them offer, they only get what they get – average results. Christoph Ulrich Mayer is a virtuoso of his profession. Although he likes to provoke and polarize as a speaker, his lectures have always been, are and will be a firework of management impulses – a special highlight for every event. 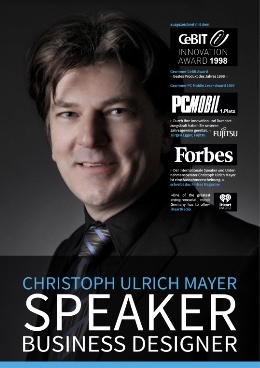 Christoph Ulrich Mayer, a visionary, manager and entrepreneur, has received several top international awards, reports on the experience of an exceptionally inspiring top speaker. In his incomparably provocative and inspiring lectures, he unravels the secret to market success of market leaders, hidden champions and those who want to become market leaders, revealing the secrets that no one else would ever be so openly able to reveal. As a Mental Business Designer®, Mayer brings things to the point, inspiring, well-founded and entertaining. He knows how to separate business success from chance. Dynamic in its style and full of enthusiasm, it is guaranteed to be an unforgettable highlight at your event. The cooperation with many international market leaders (and those who want to become one), Mayer has earned the reputation of the consistently practice-oriented Mental Business Designer®. Companies such as Liebherr, Zeiss, Siemens, MAN, Fujitsu and energy giants such as EnBW have benefited from this trend. 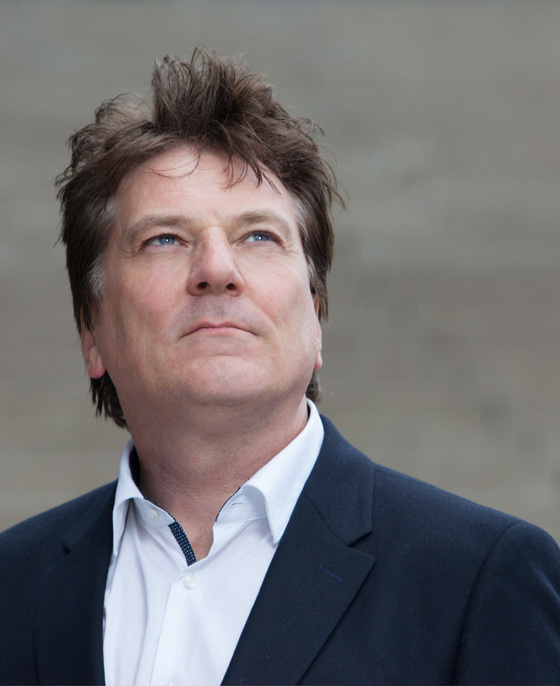 As Mental Business Designer®, Christoph Ulrich Mayer deciphers the true myth of market success. Provoke, polarize, accuse: the formula for success to produce bestsellers! Just one reason why Christoph Ulrich Mayer’s book “Goodbye Wahnsinn – Vom Kapitulismus und Kommunismus zum menschenerechtchten Wirtschaftssystem” (Goodbye Insanity – From Capitulism and Communism to a human-oriented economic system) was sold out after a short time. Even the thinker and publisher of the time, former Chancellor Dr. Helmut Schmidt, thanked in a personal letter for this extraordinary work. In his book, best-selling author Mayer disproves the unbelievable stories about the lack of alternatives in political decisions and the economic system. It points out perceptual filters that make even established economists blind. With the intention of drawing a comprehensive picture with a consistent argumentation, Mayer provides solutions to many of today’s problems in society and develops new ideas against fixed thought patterns of elitist structures. A must for anyone who wants to understand international economic markets! Christoph Ulrich Mayer has already held several dozen lectureships at various European educational institutions. Among other things, he lectured on management and negotiation techniques. As a scientifically interested entrepreneur, he deals with the latest findings of the neurosciences and explains the phenomenal effectiveness of empirically researched mental business strategies within the international economic markets in a surprisingly comprehensible, narrative manner in his style of presentation, but above all encouraging and practice-oriented.